Japan, Russia and Macedonia are the opponents of the Italian teams, who will debut on Sunday 28 against Japan (18 hours) in Gradisca d'Isonzo, on Monday 29 will face Macedonia (18 hours) in Torviscosa and Wednesday 1 May meet Russia's equal age (18 hours) in Aquileia. The finals are scheduled for Friday 3 May. Twenty are the players summoned by the federal coach Jacopo Leandri, who set the date of the Cormons rally for next Monday, 22 April. 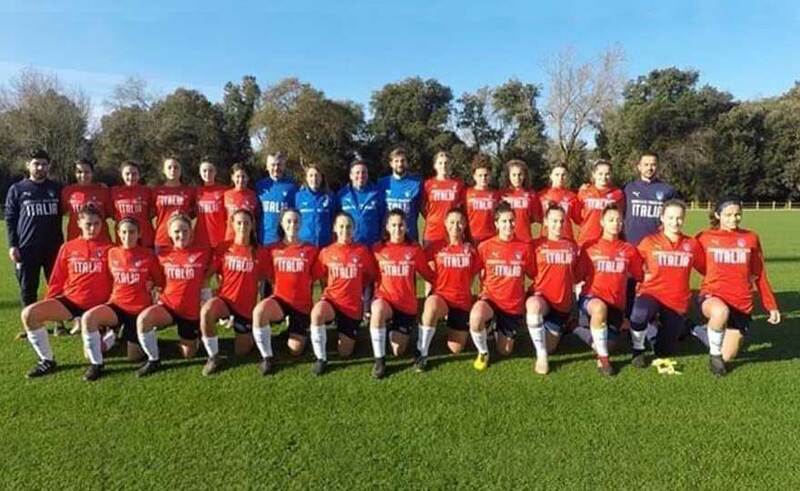 Forwards: Nicole Arcangeli (Asd Female Riccione), Chiara Beccari (San Marino Academy), Alice Corelli (Rome), Serena Cortesi (Orobica Calcio Bergamo), Arianna Marengoni (Milan International). Staff - Coach: Jacopo Leandri; Assistant coach: Viviana Schiavi; Secretary: Daniela Censini; Athletic trainer: Franco Olivieri; Goalkeeping coach: Mattia Volpi; Doctor: Sebastiano Porcino; Physiotherapist: Alessandro Lastoria.